How exciting, our very first DT Call. We're still growing as I am sure you can appreciate but I need someone else on board to help me with this new venture. If you love Noor! Design products then this Design Team Call is for you. 1. 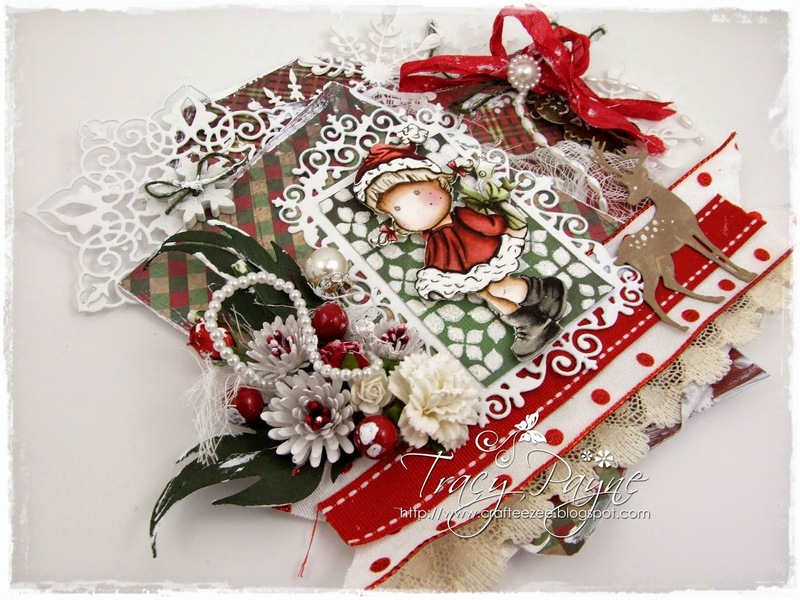 Make a card using at least one Noor Design product. 2. 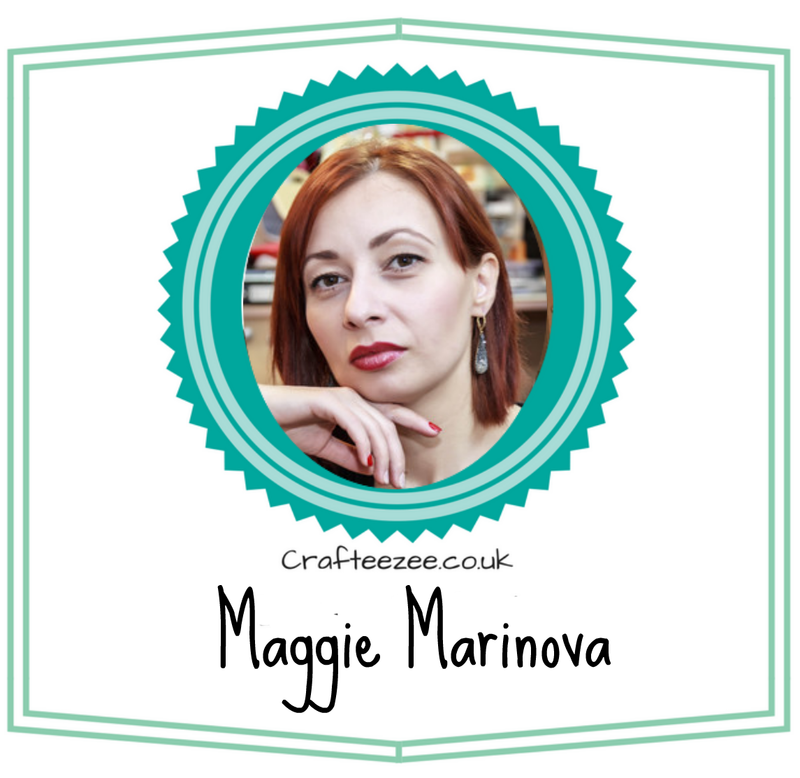 Make a blog post on your blog and link back to this DT Call. 3. 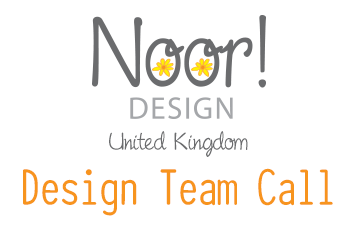 In the blog post tell me about yourself and why you are the one for the Noor Design UK Tam. Tell me what media sites you belong to; Pinterest, Instagram, facebook etc. This DT call will remain open until 30th November to give you all time to make some gorgeous creations for us all to visit. 5. Participation in Noor! 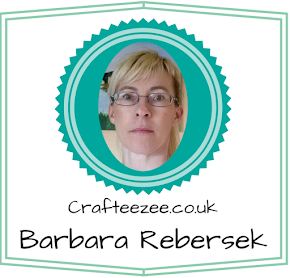 Design activities, such as blog hops, challenges, advertising on social media sites that you belong to. Good luck everyone and I look forward to visiting your blogs. 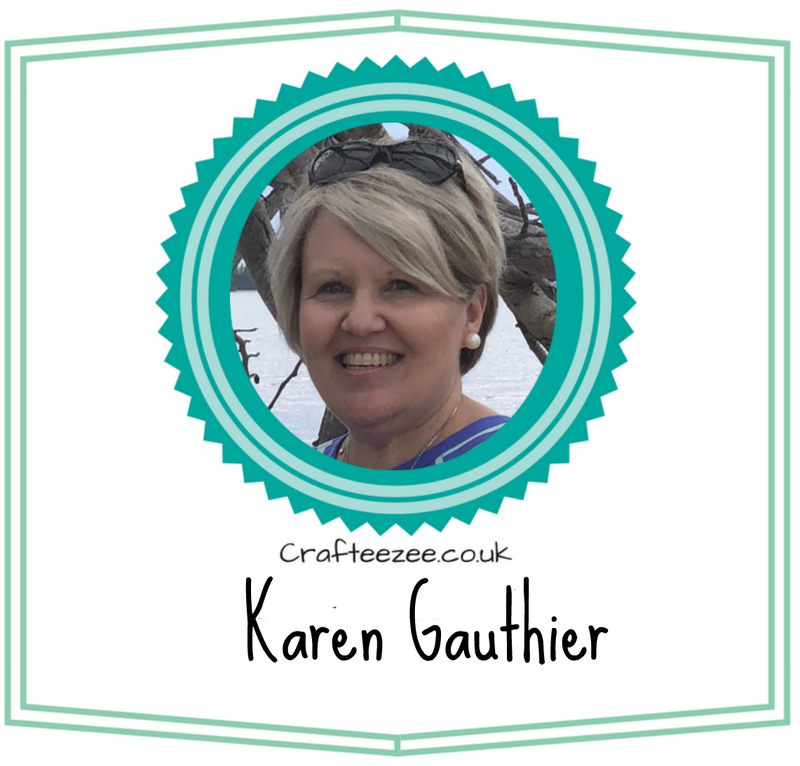 An exciting day today as it's the first Crafteezee Workshop and I will be meeting up with some of you lovely crafters and I'm really looking forward to it. 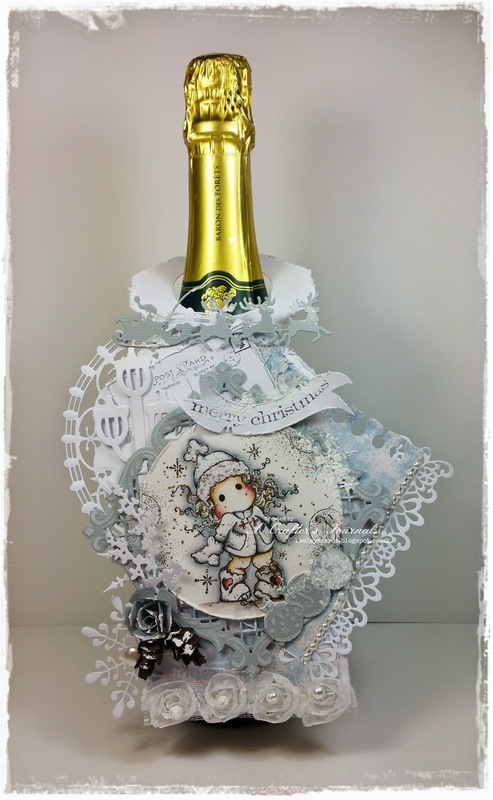 I have something a little different for you today, this is a bottle tag, but I got a little carried away, lol, so now it looks like a card on a bottle, lol....well you know me, I will have to restrain myself next time. 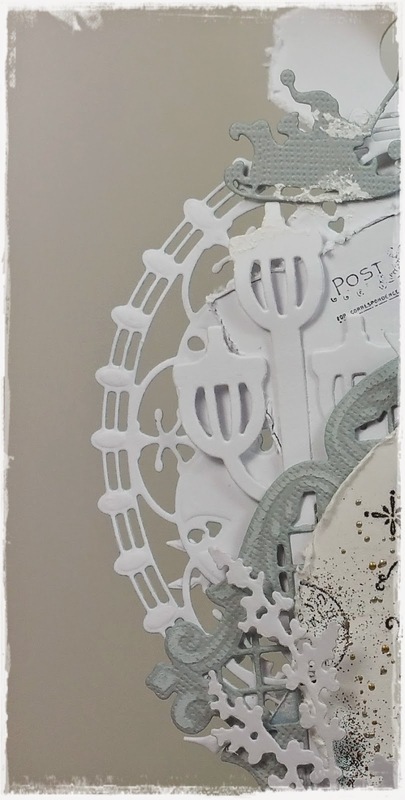 I made the tag initially by using the Dutch Doobadoo Bottle Tag Stencil and picked papers from the Happy Holiday pad 1. 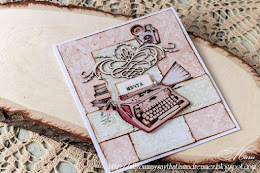 Of course I've used a few dies too from Noor!Design, who else, lol. 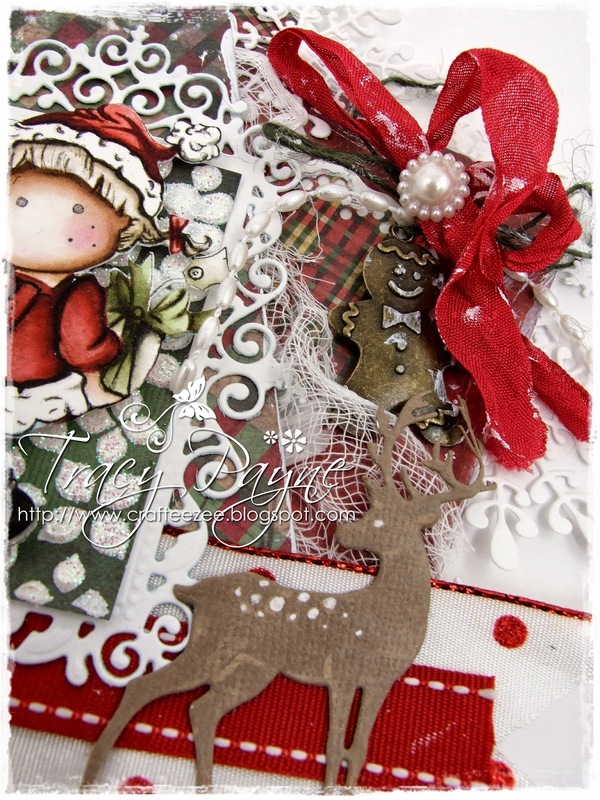 The 8 Point Die, Frame and 3 corners, tag, reindeer and the gorgeous leave die and the fabulous rolled roses dies. Lots of goodies to feast your eyes on. I cut a Noor Design tag out of the paper and added red seam binding, green twine, a gingerbread man charm and finished with a flat backed pearl. The Reindeer is also a NoorDesign Die. The pattern on the green paper behind Tilda was made using a Dutch Doobadoo Stencil and Structure Paste and a little glitter for the sparkle. 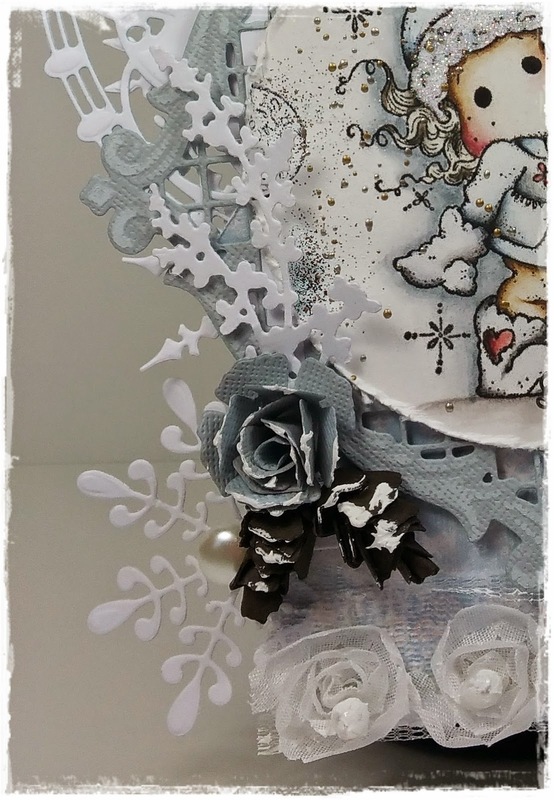 The white flowers were created using the Rolled Roses Cutting Die 2 and then I added some Tiny Red Berries from the Ribbon Girl, don't they look good. I'm sharing a vintage card with you all today. 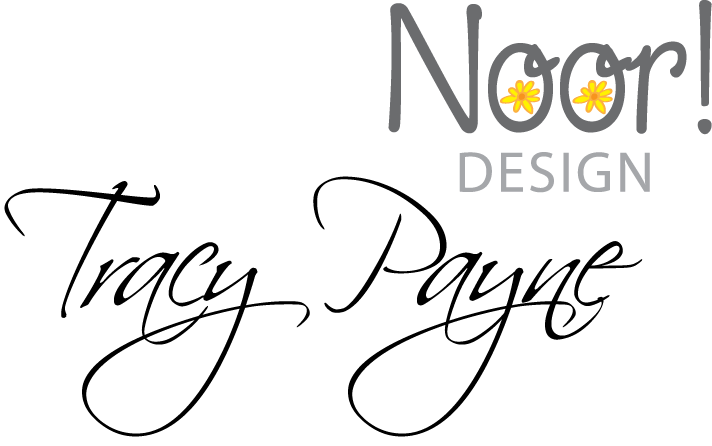 I think I must have been challenging myself to use as many Noor Design dies as possible on this card, lol. 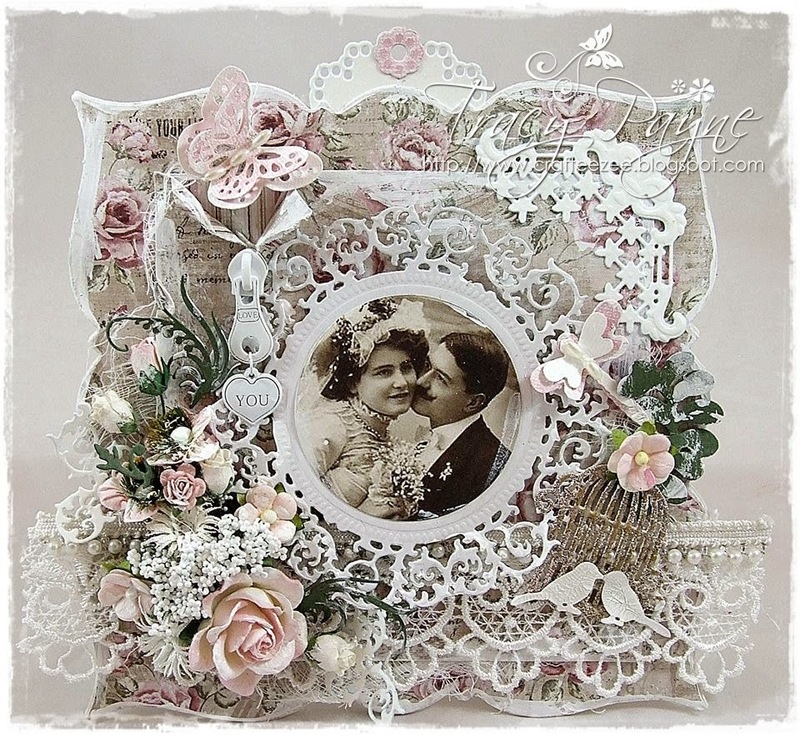 I Love the gorgeous frame, corner, pretty tag, butterflies and dragonflies and the little bird cage to name just a few. The square frame is a new Noor! Design die from the November release. I cut and embossed it from babypink paper and put a white frame behind it. 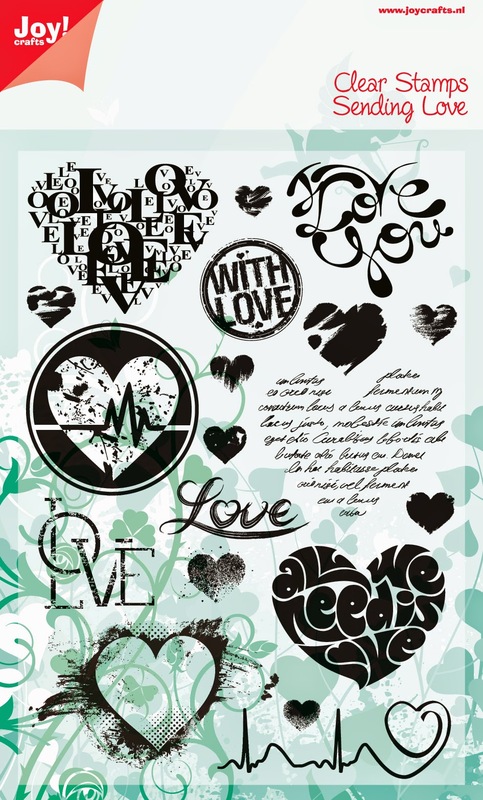 The basis of the card is a new Dutch Shape Art stencil coming out early December. 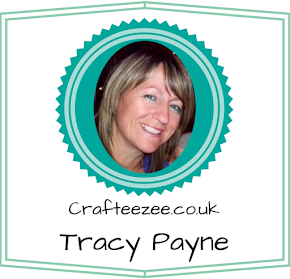 You can already pre-order it in Tracy's shop! The heart is a new die in the Noor! Design collection Sending Love. And I have made matching stamps to it that fit in the heart. 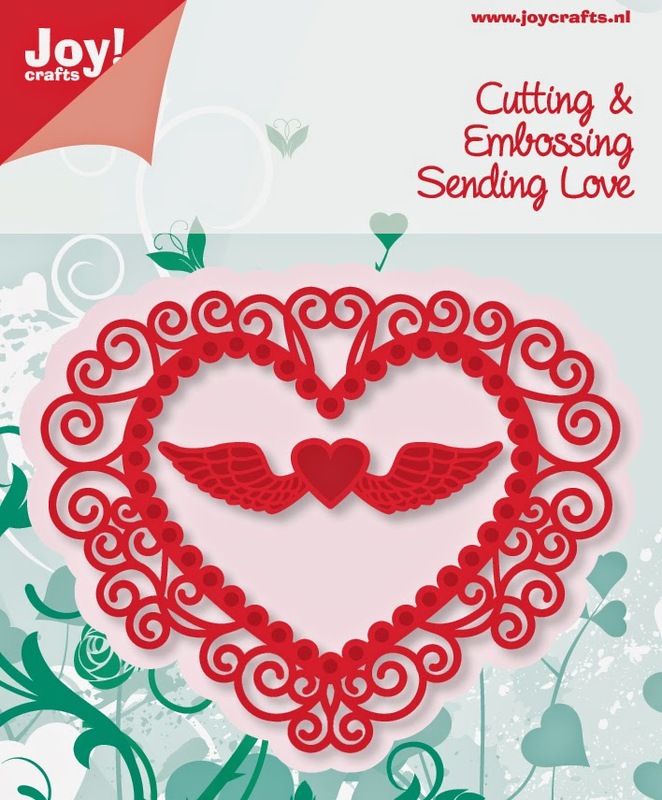 Also this button stamp "with love" comes from the same stamp set. And I have finished it with a cute little paper bow from a Dutch Paper Art sheet. The image is from Mo Manning and I also stamped a few little grunge hearts to surround this cute little girly. I hope you liked my card again... it was fun making. Always fun playing with new stuff! 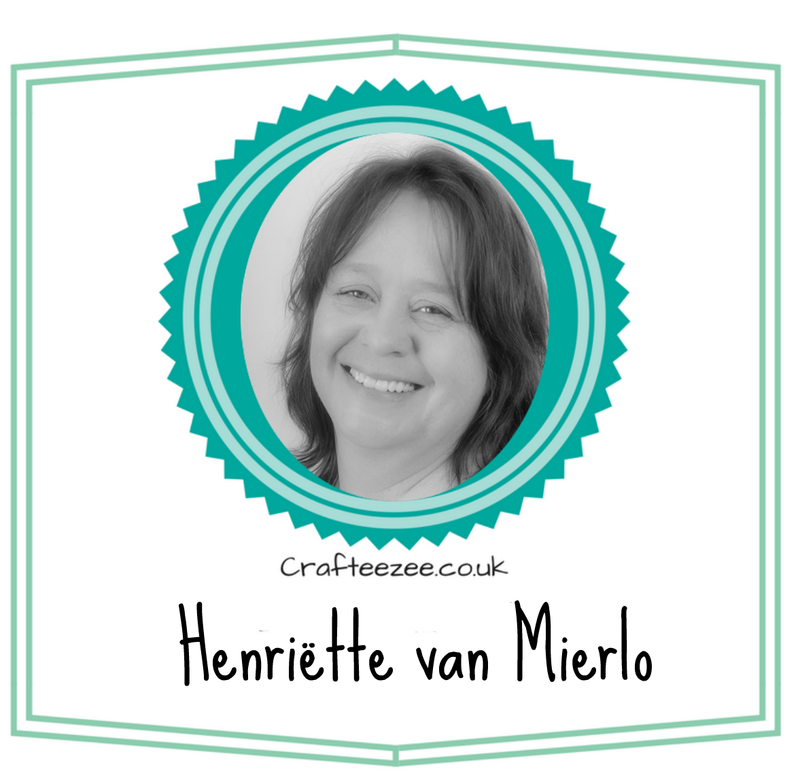 Hi everyone, I've been playing with the Dutch Doobadoo's Shape Art Templates, these are great and so easy to use. As you can see this is one hangs around a wine bottle or in my case a champagne bottle, this was the closest thing I had. Pine cones using the Rolling roses Dies as well a rose. and last but not least the beautiful ornate square frame. 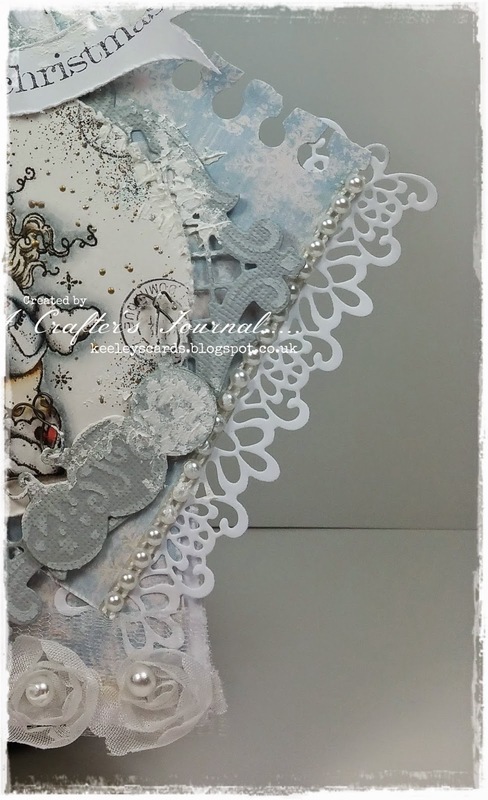 Well that all from me today, see more of my cards over on my blog, A Crafter's Journal... don't forget to visit our Facebook where you can find all the latest information.